The Philippines Postal ID is according to the Universal Postal Union, is a postal ID card which most widely accepted means of identification in postal transactions worldwide. Generally, banks and other financial institutions honor the postal ID as proof of identity in their transactions. In the Philippines, a postal ID is a government-issued ID that is one of the easiest and fastest to obtain. People use it to show as a valid proof of identity and address. Therefore the postal ID can give them access to a range of public services. The postal ID card is a primary form of identification for many Filipinos, without any requirement such as driving skills for Driver’s License, travel abroad for Passport, passing a licensure exam for PRC ID, or employment for SSS and GSIS ID. The basic difference with other Philippine government IDs is ANYONE can apply for it. It is socially inclusive. The Philippine Posta ID is now improve, most of the security features infused upon the basic postal ID, though effective, could only be deciphered with the help of special equipment, making it harder for front liners to differentiate the genuine from fake. The biometric based uniqueness test was implemented to fully guarantee an individual’s identity. The Improved Postal ID shall be valid for three (3) years for Filipinos and for foreign residents with special Retiree’s Resident Visa (SRRV). For the rest of the foreign residents, it will be valid for one (1) year. On site digital capture of fingerprints, photo, signature and personal details. Centralized ID printing and database to guarantee that the cards are authentic. An encrypted QR (quick response) code printed on the card can verify the identity of ID holder using a downloadable smart –phone application. Overlaid with a hologram that can be viewed only at certain angles. Has a ghost image and UV ink that illuminates in UV light. Applicant uniqueness check via the Automated Fingerprint collected with the fingerprint database records to ensure the applicants identity. Improved Postal ID is applicable for all Filipino living in the Philippines and abroad, but were in the Philippines at the time of application are eligible to get an improved Postal ID. Foreign residents living in the country for at least six (6) months may also apply. Barangay Certificate of Residency issued within three (3months) prior to Philippine Postal ID application. If you want to upgrade your existing Postal ID to New Improve Postal ID, please bring two (2) copies of duly accomplished Postal ID Application form and your existing Postal ID. Application forms are available in your nearest Post Office or can be downloaded from the PHLPost website. In Metro Manila approximately fifteen (15) working days from application. For more Questions and Inquires please contact your nearest Post Office. 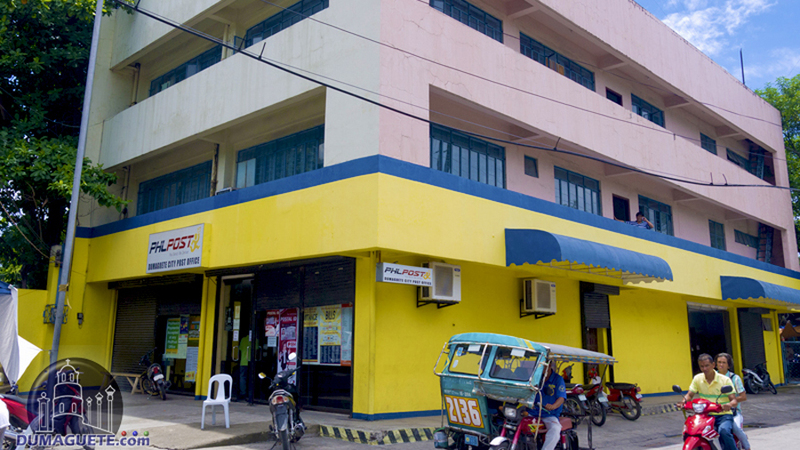 Dumaguete Post Office is located at Corner of Santa Catalina Street, and Tan Pedro Street (fronting Quezon Park) Dumaguete City Negros Oriental.